Too true, some of them seem well made/converted but trying to pass them off as something else, accompanied by photos from Konrad Knirim' book/articles, is just plain daft. 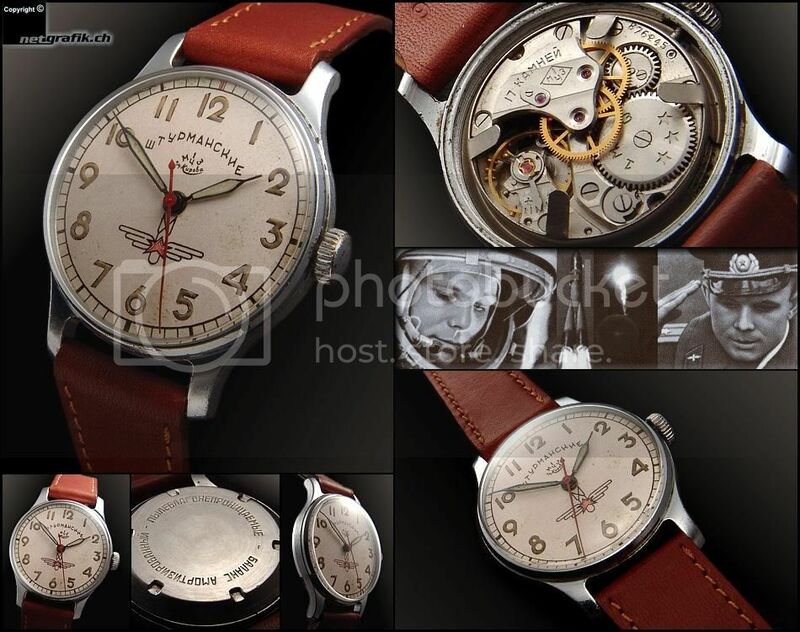 I know Mat was looking at a very interesting aviator's/driver's watch which appeared to have been beautifully converted but unusually, the Ukranian seller was completely honest. Ironically, it's a fraction of what this seller wants. Good luck to you if you imagine you can find an original one of these in decent condition - they must have factories in the Ukraine building franken versions! It is thought that in that limbo period pilots used converted pocket watches (of high quality) with lugs welded on, worn on either the wrist or leg (like the '30s Omega aviators' watches). Each of these would have been unique, being made up at each pilot's personal request. All of this makes identifying a genuine ex-pilot's watch virtually impossible. *I am aware that the Russians would have made replacement parts, which is why some of those ex-German stock chrono's have slightly crude parts such as hands etc. Last edited by StampeSV4; 06-02-2010 at 12:14.